Popular, Productivity Tools By Krista Krumina on May 2, 2018 . If you’re looking for the best productivity tools in one place, you’ve just hit the jackpot. We did the research, so you don’t have to. Here are 25+ of the best productivity apps to use in 2018 that will help you optimize your time and get more things done whilst staying balanced, happy, and, you know… sane. DeskTime is a productivity app that lets you track your time, plan and track your projects, and calculate costs simultaneously. The project’s costs feature lets you fill in your hourly rate and calculates automatically how much you have to charge the client based on the time you’ve spent on the certain task or project. 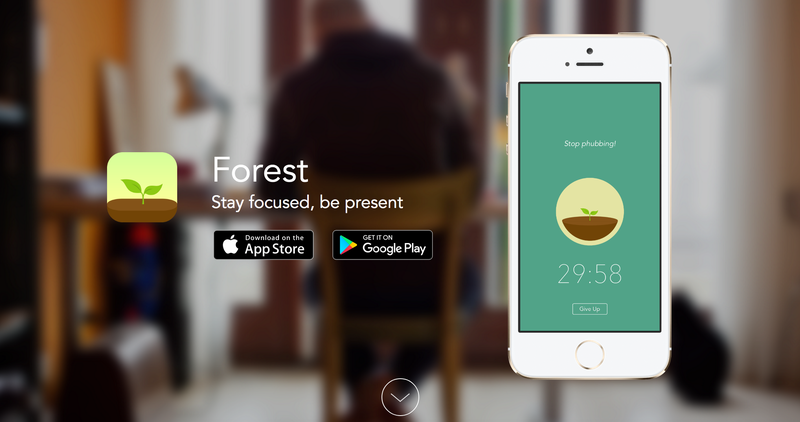 The Forest app is built to help you discipline yourself and keep away from your phone. Whenever you need to focus, open the app, set the timer and ”plant” a tree. Then put down the phone and focus on the task you want to get done. If you pick up your phone and leave the app before the time is up the tree will die. The team behind the Forest app has partnered up with an actual tree-planting organization. This means that whenever you stay focused and keep your hands off your phone real trees are being planted on earth. Great chance to stay focused and make a real difference at the same time, right? SelfControl is an open-source app that blocks sites that you deem too distracting. You set a timer and it blocks those sites until the timer is up. Beware: once you set your blocked time, there’s no going back. Not even restarting the computer or deleting the app will do it. You have no choice but to wait until the timer’s up! Harsh? Maybe, but it’ll get you to focus. Due is a task scheduling app that repeatedly reminds you of items you gotta get done until you act on them. Annoying? Maybe. But also surprisingly effective, since it’s impossible to forget things you really need to get done. First, it lets you schedule tasks with a single tap – you don’t have to scroll through the time wheel to set your due time. Second, you can snooze reminders with just a tap until you’re ready to act on them. It means no rescheduling, which saves you time. The idea of this super simple and free timer is based on the Pomodoro technique, which means dividing your work time into time blocks: you focus on your work task for a certain period of time, then take a short break. In other words – work, break, repeat. 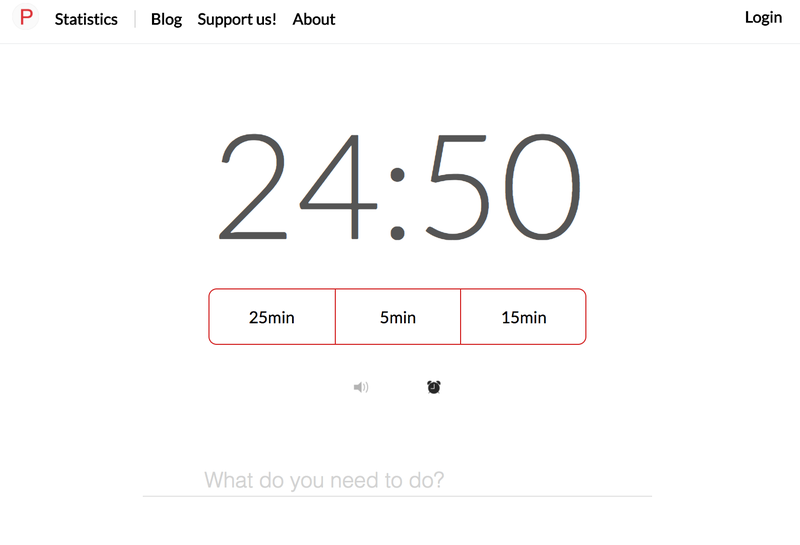 Pomodoro.cc is an open-source web app, which means you can use it without registration. Simply go to their website and start the timer. It allows you set the timer for 25, 15 or 5 minutes, and it will notify you when the time is up. If you have never tried the Pomodoro technique, this app is the probably the perfect place to start right because it’s that basic. The 30/30 app in a way uses the same Pomodoro technique, but the difference is that it divides your workday into 30-minutes intervals. You work for 30 minutes on your task, then take a 30-minute break and switch to a completely unrelated activity. The idea, while reminiscent of the Pomodoro technique, is also obviously different – here your work and break times are the same length, and that, according to the creators of the app, makes your day balanced. That said, you can use the default ”30 minutes for work and 30 minutes for a break” schedule, or create your own work/break ratio, like one hour of work and one hour of a break. 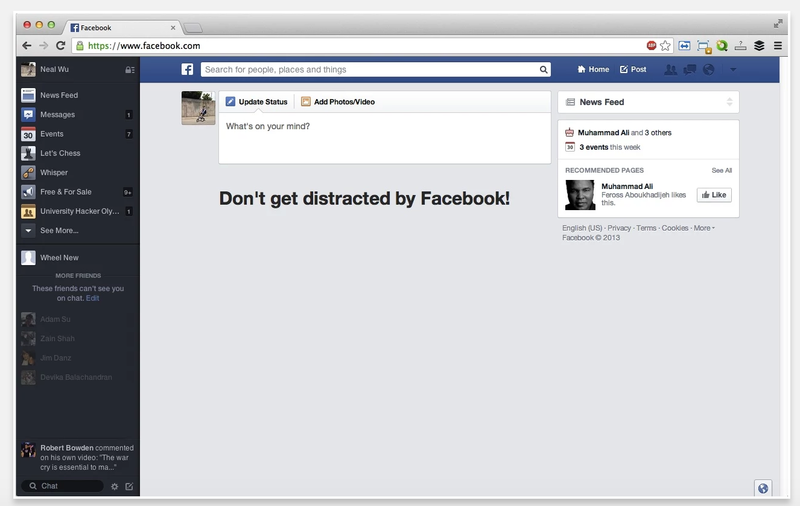 Kill News Feed is a Chrome extension that blocks the Facebook newsfeed when you need to focus on work. Knowing that Facebook newsfeed is a real productivity killer, this simple extension is a serious focus-booster and time saver. If you use Facebook for work purposes – worry not! While you won’t be able to see and scroll your newsfeed, you’ll still be able to check your messages and notifications, and access your business pages. Fun name, serious business – Cold Turkey is a productivity program that allows you to temporarily block distracting websites so you can focus on your work tasks. And whenever you’ll try to visit a blocked website, you’ll instead see a motivational reminder to get back to work. You can automate the Cold Turkey program by creating weekly schedules at the specific times you want the distracting websites to be blocked. Or you can simply activate the program whenever you must focus on work – for 15 minutes, 1 hour, or even 8 hours if you need to. Freeedom is a flexible focus app that lets you manage the websites and apps that distract you and block them for as long as you want – 30 minutes, 1 hour, all day… or any other custom time period. Just like the name suggests, Freedom liberates you from the addictions and distractions that waste your time on your computer, tablet, or phone (works on Windows, Mac, and iOS devices). According to its creators, Freedom is already helping hundreds of thousands of people to regain focus and earn more time for work and family. Brain.fm provides you with music designed to increase focus and concentration, improve meditation and aid sleep. While there are many similar services, what makes Brain.fm different is that their music and sounds are ”scientifically composed” by bots to help you focus or relax. Price: Free for the basic version, $6.95 / month for the Pro version. If you’re the person who likes working in cafes, but your company’s policy doesn’t allow working outside the office, here’s the perfect solution – an app that recreates the ambient sounds of a busy coffee shop. 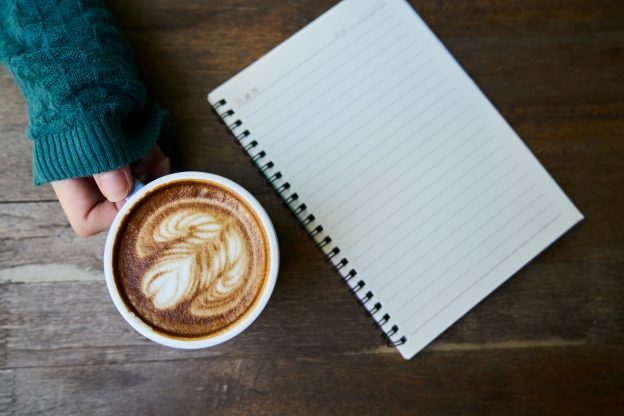 Giving you the feeling that you’re out of the usual office environment, Coffitivity can boost your creativity and help you work better. Choose between various ”soundtracks” – whether it’s the ”morning murmur”, ”lunchtime lounge” or ”campus undertones”, you’ll find the perfect background noise for your focus. Price: Free for the basic version, $9 / year for the premium version. 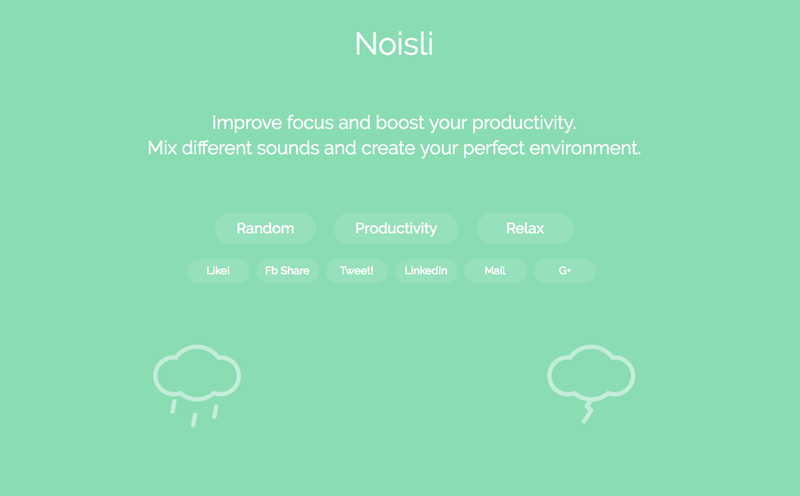 Noisily offers a collection of ambient sounds that help you block out distracting noises in the office, or relax and reduce stress. The best part? You can combine the sounds as you like, and create your own ideal noise for improving your focus. In other words, you can listen to the rain, forest sounds, or coffee shop noise separately, or you can mix all these sounds together in one heavily saturated background noise. The 1Password app lets you forget all your passwords, except one. And while there are similar services in the market, 1Password stands out with its clear interface and user-friendliness. To use it, simply install the browser extension and create an account. Then, whenever you’ll log into a website, 1Password will ask you if you want to save the username and password. Once saved, your passwords will be available for later use and you’ll be able to log into websites with a single click. Similarly to 1Password, LastPass saves all your passwords, so you only have to remember one – your master password. Contrary to 1Password, LastPass has a free version, which is perfect enough to use without the upgrade. Install the extension on your browser, then start saving your passwords to LastPass – it will automatically offer you to save a password when you log into a new website for the first time. Once saved, you’ll be able to log into the sites with one click. Pushbullet is a must-have software if you interchangeably use both your phone and laptop. The software connects all your devices, so they feel like one – whatever’s on one device, also becomes available on your other ones. For instance, you can easily send files from one device to another and send links. It can also notify you about incoming messages on your phone while you’re using your laptop and whatnot. This app saves time because you don’t have to send files and links through your email anymore. Plus, it won’t allow you to miss important notifications on your different devices. If you’re looking for info on a specific topic, but don’t want to spend all day searching the web for the most recent news, then set up a Google Alert. Enter the keyword you’re looking for, and customize by selecting which sources you want, how often you want to be notified, etc. You’ll receive emails whenever anything is published about that specific topic. Set it to notify you however often you like. I suggest once at the end of the day to avoid constant distractions and updates. 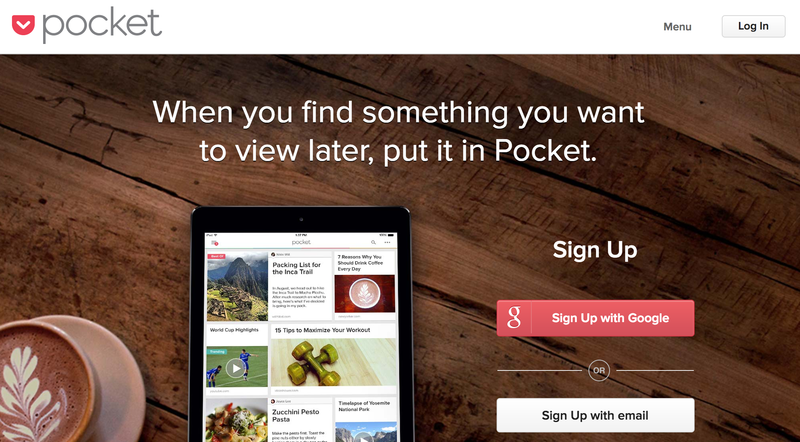 The Pocket app is for when you find something online that you want to read or view later – it lets you save articles, images and videos all in one place. Living in the era of information overload, this little app becomes super handy. This app saves tons of time because it allows you save things directly from your browser, as well as various apps like Twitter, Flipboard, and more. Then, whatever you save is then available to review later on your phone, tablet or computer. The Pocket app works online and offline, which means can read what you’ve saved whenever you have time, no matter where you are and whether there’s an internet connection. An RSS, or Rich Site Summary, lets you catch up on the latest of all your favorite sources in one place. Publishers automatically syndicate their content to a feed, creating one mega content hub. 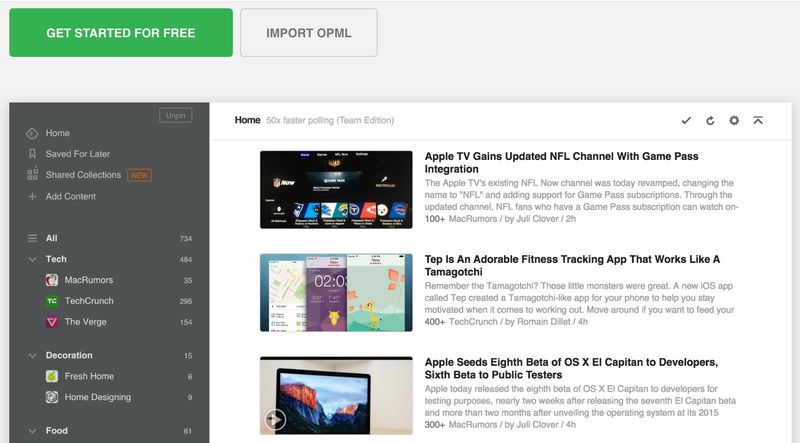 Feedly is a great time-saver because it lets you organize your favorite blogs and news sources into categories, then quickly find resources on topics you’re interested. Browse your resources all at once in one list, or individually by category. Keep all of your sources in one place and never miss a new post. Price: Free for the basic version, but you can access additional tools and integrations with an upgrade. Flipboard is a visual RSS reader that curates the world’s topics to help you stay informed. Like a magazine, the idea is that you can flip through pages. Decide on which topics interest you and it will automatically curate content based on these interests. The options are endless, from politics to nutrition to photography. 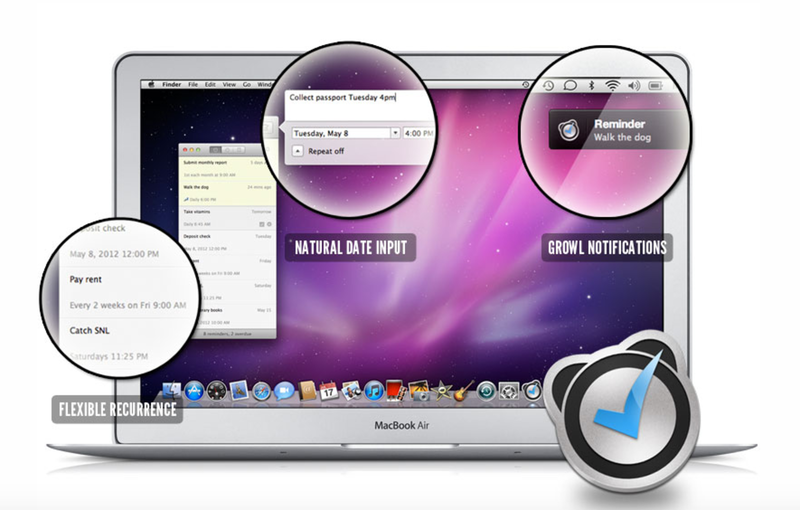 WorkFlowy is a tool that lets you take notes, make lists, collaborate, brainstorm and plan your tasks and projects. It’s basically a tool where you can add bullet point notes, then move them around to organize your ideas efficiently. Another cool feature is the tagging option. Whenever you add a new idea, task, or whatever, you can add a tag that’s associated with it. You can then later find all your notes with that specific tag. Let’s say, you’re working on a new project, you can simply add a tag #new to all tasks and ideas related to it. Using the tagging feature, you can always just jot down your ideas, and be sure you’ll be able to find them when needed. 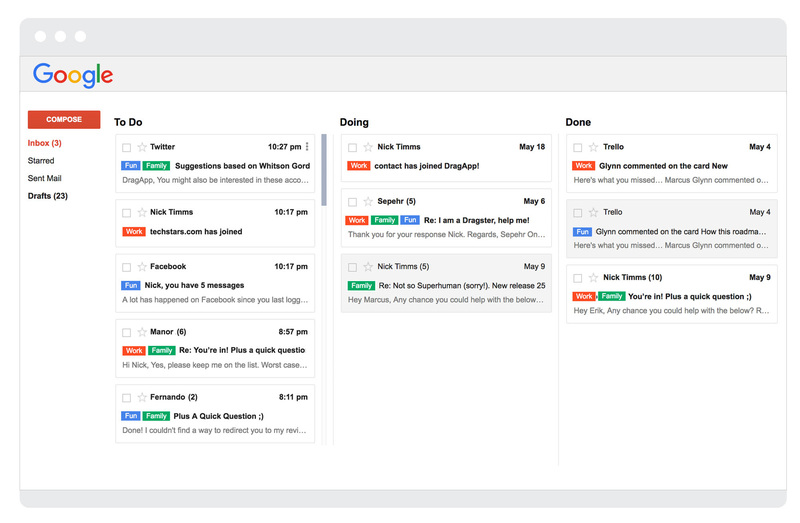 Drag is a free Chrome extension that turns your inbox into a manageable workspace. 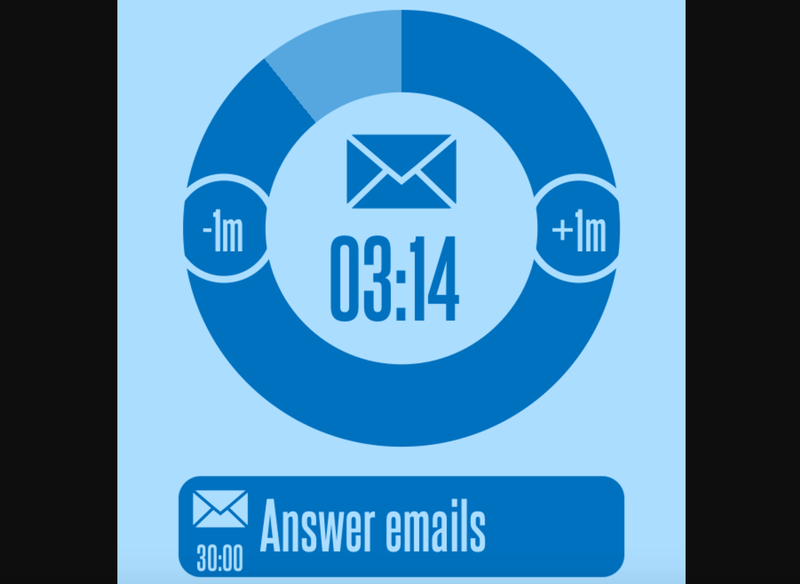 Simply put, the app allows you to categorize your emails into three columns or stages: To Do, Doing and Done. By categorizing your incoming messages, you can easily see what hasn’t been dealt with and what’s already processed. That makes your inbox more organized, saves hours every day, and thus generally reduces time spent on emails. It’s easy to lose an important message when you have a constant influx of emails – and if that email was detailing a task for you to do, you certainly want to keep tabs on it. Taskforce is a smart app that converts emails into tasks, letting you save the time you use copying and pasting your tasks from email to your project management app. You can prioritize tasks, create recurring tasks, and access Taskforce on your phone. If you want to share a task you create, the email sender is also notified on the tasks’ progress. Even better? You can click on a “related emails” button to see the email chain the task originated from. You’ve probably heard about TED talks and the 30+-year-old organization behind them whose goal is to help us understand the world better. 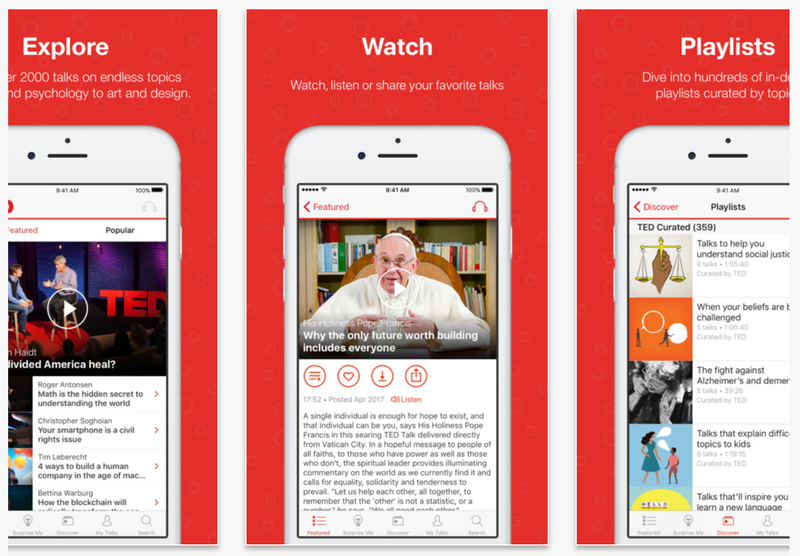 Now, the TED official app is the place you’ll find over 2000 talks on all kinds of topics, from psychology and art to mathematics and tech. Available with subtitles in 90+ languages, you really have no excuse to learn something new every day. The app lets you learn from the world’s most remarkable people, and not taking this chance, is a simply wasted opportunity. Coach.me is a habit-building and tracking app: you choose a new habit you want to form, join the challenge, and the app sends you daily reminders to help you keep on track. The habit you want to build can be something work-related like waking up earlier for work, or something personal, like a 30-day plank challenge. Once you’ve joined the challenge, you can track your progress by checking it off every time you do the habit. Then, celebrate each milestone with the like-minded people from the community who’ve also joined the same challenge. Doubting your willpower? 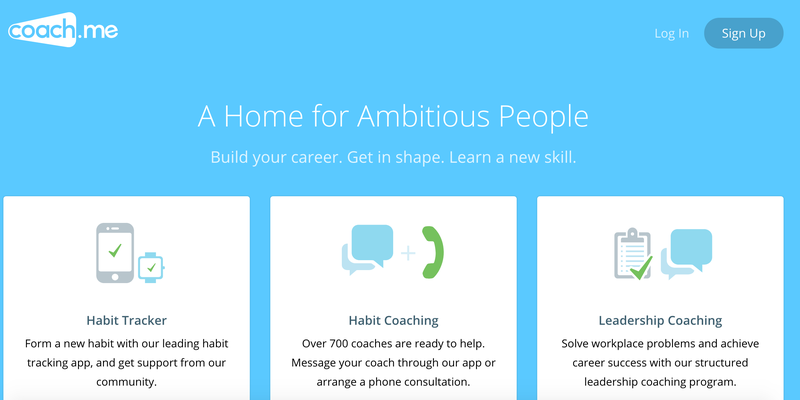 From just $15 a week you can hire a coach who won’t let you give up, and consult you through the app or on the phone. Headspace is an app that provides guided meditation sessions and mindfulness training. It’s like your own personal trainer who helps you train your mind and teaches you to meditate. Headspace is the work of a former Buddhist monk whose voice you’ll be hearing when listening to the sessions. In the first 10 days, you’ll be guided through the essentials of meditation, and asked to meditate for 10 minutes every day. Then, you’ll have to subscribe for the paid version to continue. The perfect app for short work breaks or if you need to decompress after a rough meeting or deadline. 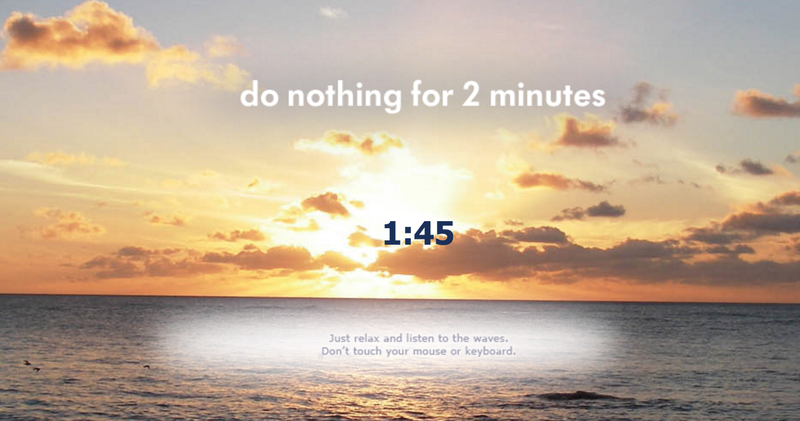 Go on donothingfor2minutes.com and do nothing but look at a photo of the ocean at sunset and listen to the sound of waves. Studies show that gazing at nature increases productivity, so it’ll help you recharge and get back to work. It can be hard to turn off all your thoughts when you break, so try guided meditation through calm.com. Pick your favorite scenic image – choose between a rainy window, mountains, a misty forest, pink sunsets and more – and decide on the length of your session. The guided meditation is great for novices, but it’s optional and can be turned off. Meditation also makes you more creative, so you’ll be full of energy and great ideas when you’re ready to get back to work. Pacifica is an app that helps you deal with your personal anxiety and depression. The app offers a selection of tools, which along with a supportive community, help you manage stress, deal with unpleasant daily situations and become more relaxed and balanced. Based on the principles of cognitive behavioral therapy and meditation, this toolset aims to help you identify and understand your fears, before getting get rid of those fears by helping you to change your thinking and behavior patterns. Sleep Cycle is an alarm clock that tracks your sleep and then wakes you up during your light sleep. ”Waking up during light sleep feels like waking up naturally rested without an alarm clock,” say the creators of the app. Thus, by using the app, waking up well rested and refreshed every morning won’t be a problem anymore. Have a tool, app or service to suggest? Let us know in the comments! You might want to check out Sortd for Gmail (https://www.sortd.com/sortd-personal-edition). It’s ranked as the #1 app for Gmail on Product Hunt. This app helps to concentrate, better organize tasks, and optimize productivity. Freedom of course. Blocks websites and apps IN SYNC across all your devices! Thanks for the suggestion, Phil! Thank you for the list! I would add one more software to the list – https://kanbantool.com/ . My company has implemented it a while ago and our productivity has just boosted since then. The software allows each of us to see what the other people are working on at the moment, so we no longer overlap each other. We can track the time of our work, we have an access to some analysis tools. I think Kanban Tool is really helpful. Great List, Krista! Will totally try out some of these soon. Would also put https://start.me in here, it’s a bookmark manager I use to save time when online. Recommend it to everyone lately. Can you add https://saltcrm.com in list, it’s a great tool for business. Very good tool for develpers and project managers. It provides the easiest way to understand the productivity of work, calculate working time and time spent on each task. All this information automatically generated and transferred into accurate reports in the form of screenshots, statistical data, graphs or online reports in user’s web account. Users can generate invoices and send them to their clients or partners as a proof of work. WebWork tracker is suitable for teams of any type and size.